PLEASE - Only register for what you have been approved to attend by your school/organization. Please read through the Pre-conference descriptions on this website so that you have a good idea of what you would like to register for. Full descriptions are also available on the registration portal. After making your selections in the registration portal, scroll to the bottom of the page for payment options. If you see that a workshop is sold out and there are no other options that work for you, please email us at hsti@hssd.net and we will put you on a wait list and may schedule another workshop if possible. If you are paying personally please use your personal Check# in the PO field in order for your registration to process. New this year, you WILL be able to pay by credit card. Once you register you will receive an email confirmation with invoice information. If you make a mistake in registration send an email to us at hsti@hssd.net instead of registering again and I will fix your issues asap. Invoices will be mailed to your PO information provided in the registration form. ONLINE REGISTRATION WILL CLOSE on June 1, 2019, or earlier if all pre-conference workshops and conference slots are full. 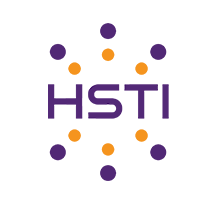 Welcome to the HSTI site. Information regarding the annual Hot Springs Technology Institute aka HSTI will be uploaded to this site as it becomes available.